Karnasch Professional Tools, based in Germany have been crafting high performance, precision tools for over half a century, often pioneering and leading the way in new techniques and products for our industry, particularly in the field of consumables and tools. Karnasch represent a strong and highly competent partner, and we are delighted to offer their mag cutter range. So you might well ask what makes the Karnasch range of carbide-tipped annular cutters better than the rest, what is it about them that has us excited to the point where we wrote an entire article devoted to them? 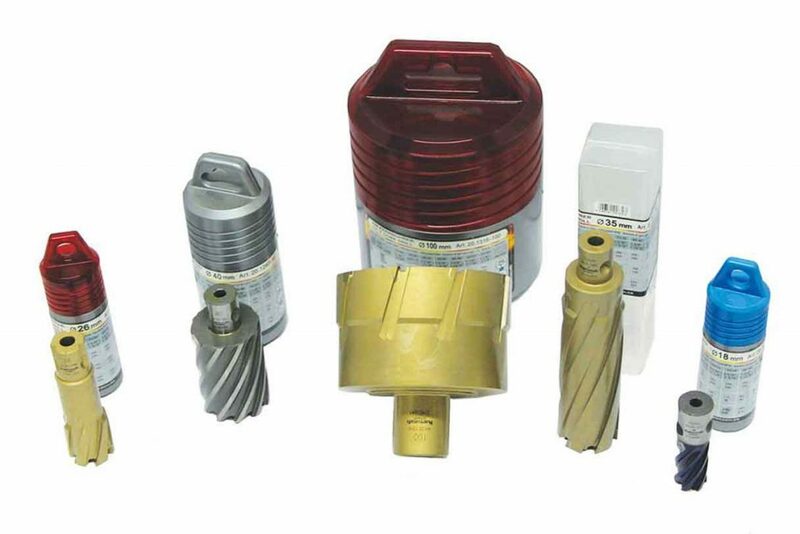 In a word; quality… Much like ourselves, Karnasch pride themselves on the quality of the products that leave their doors and go out into the world, products on which their reputation relies, and their range of annular cutters prove that fact in a number of ways. They combine extreme hardness and durability for the widest range of applications, with a proven three-cut geometry giving smooth and straightforward machining of stainless steel, hardened steel, aluminium, copper, brass and even the most challenging alloys such as Hardox, Inconell and Titan. It isn’t just about peerless durability and superior hardness though; the Karnasch Hard-line range of mag cutters also feature their specially developed ‘TiAIN’ coating which is then supplemented by a second coating, making them impressively self-polishing and material-repellent. Giving the very best service life, improved heat resistance and surface hardness that other mag cutters struggle to match. The most powerful cutter in the Karnasch range, with a 40mm drill depth with a nitto/universal shank, carbide tipped and suitable for steel (< 1400N), stainless steel (> 900N), grey cast iron, aluminium > 10% Si, copper, brass and tin, as well as plastics and exotic metals. One of the most popular uncoated annular cutters in the Karnasch range, again featuring the nitto/universal shank, with a drill depth of 30mm the GoldLine HSS-XE 30mm is suitable for steel (< 900N), stainless steel( < 900N), grey cast iron, aluminium (< 10%Si), copper, brass and tin as well as plastics GRP/CRP. All the benefits of the GoldLine Universal HSS-XE 30MM, with a greater drill depth of 55mm. At Selmach, we believe these four Karnasch mag cutters combine to form a range that will give our customers the best performance, combined with quality and reliability for a wide range of cutting operations all with cost efficiency and availability that will impress. 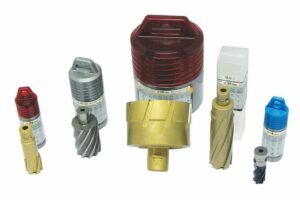 For more information on the Karnasch range and other tooling and consumable enquiries, get in touch today.